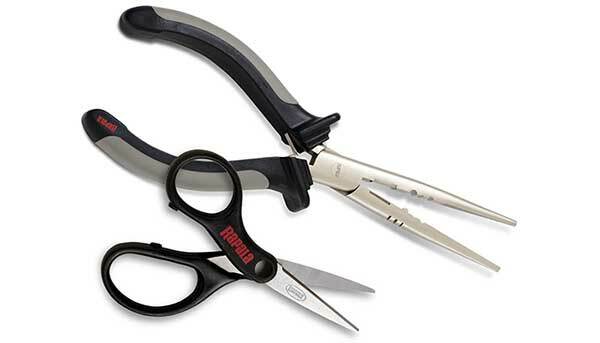 Pliers & Super Line Scissors Combo features the Rapala Fisherman's Pliers, designed for years of reliable service and made of durable carbon steel with a nickel plated finish. 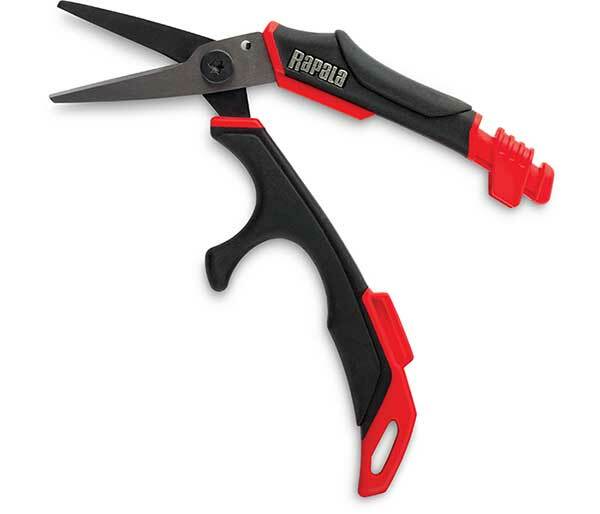 Split shot crimper, Rapala lure tuning tool and light duty side cutters are also featured plus the Super Line Scissors that feature sharp serrated cutting edge and oversized finger and thumb holes. Small but tough carbon steel construction with a curved nose allows anglers to remove hard to reach hooks in small places. Detailed with co-molded grips, double leaf spring and a side cutter perfect for cutting line and leader. Nickel plated finish. 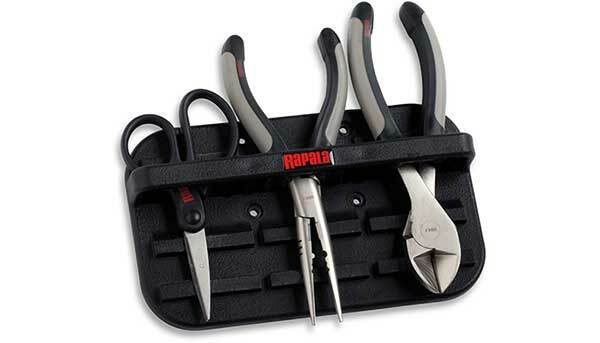 The Magnetic Tool Holder securely holds your tools. Mount this Combo in your boat and you'll never be tripping over, or searching for your tools again. 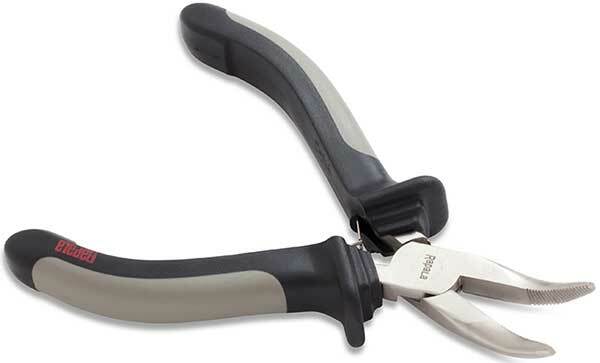 Combo includes Tool Holder and all mounting hardware with 7" Side Cutter, Super Line Scissors & Fishing Pliers. The Magnetic Tool Holders securely hold your tools. 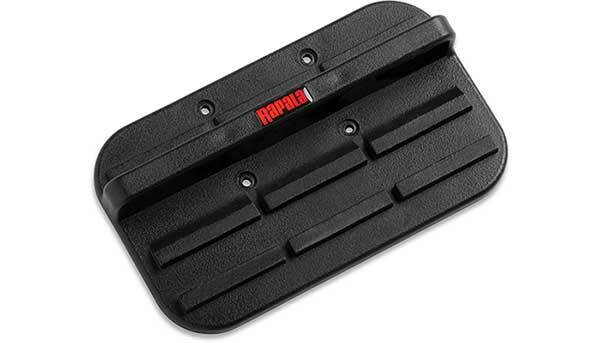 Mount one in your boat and you'll never be tripping over or searching for your tools again. Three models to choose from allows you to customize your tools configuration. Mount the single on your console for pliers and triple near the back seat where serious work needs to be done. Easily reach deep hooked baits and other hard to reach hooks with ease. Truly one of those "How did I live without it" tools. Co-molded grips for a secure hand while digging deep to save your "lucky Rapala" lure. Nickel plated carbon steel construction for years of rust resistant service. 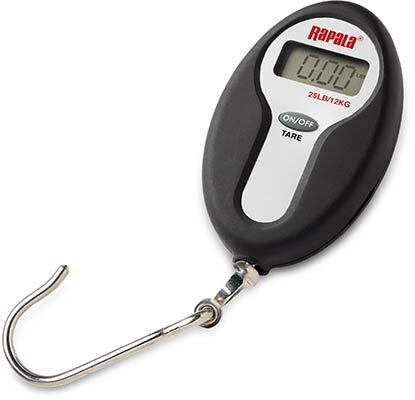 The Mini Digital Scale measures up to 50 lbs. with precision accuracy. Pocket size features digital display, tare weight, 4 minute shutoff feature ensures 400 hour life with one 9V battery (not included). 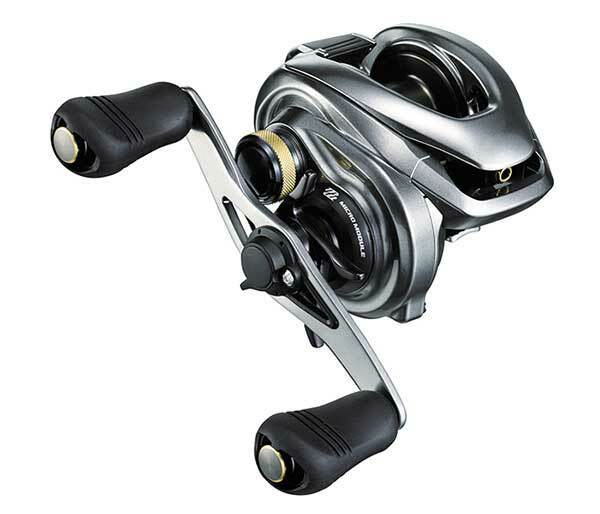 Chrome plated hook and water resistant design. Pound or kilogram measure. Simple and easy to use, this compact design is the perfect size for storing anywhere. 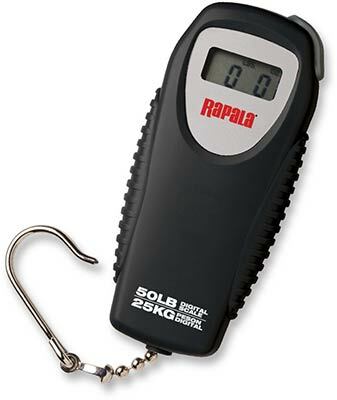 Digital scale powered by one lithium coin battery (included) includes tare weight function and 4 minute auto shutoff. Water resistant & chrome plated hook. This scale is sure to become one of your "must have" items. Measures in pounds and kilograms. 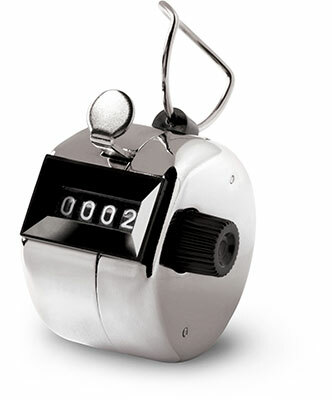 Easily and conveniently keep track or your daily catch with this easy to use tool. You can use it to get totals for the day, your whole trip or the whole group. 4 figure register with automatic reset. Compact design includes fixed loop to hang counter from your belt. 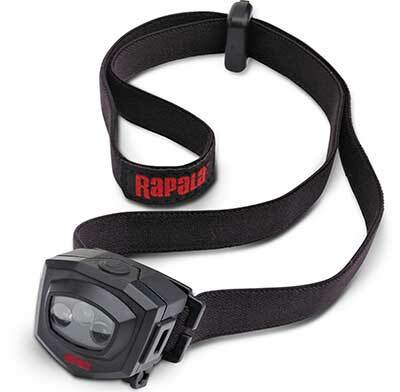 Interchangeable between head strap and cap mount, this headlamp is the most versatile. Clip to hat or wear with head strap for superior lighting. Wide vision setting lights area in and around boat, while spot focus directs a beam to guide the way. Up to 30 hour runtime on 2 Lithium coin batteries included. Pivots up & down. Water resistant. The new Teckel Maracker frog is a follow-up to their wildly popular Sprinker Frog. It has the features of a super loud weedless wakebait and also works very well on any type of floating thick mats. 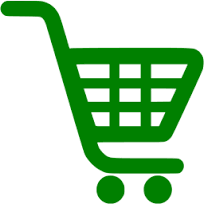 It's now back in stock! The RipStop tail design creates a fast ripping, hard stopping, flashing swimbait action. Its forward motion stops on a dime, with a subtle shimmy before coming to a rest, then a slight head lift with a super slow-rise. New larger size added to offer their full selection! This multi-species balsa bait brings the excitement of the Rapala Tail Dancer to a shad profile. Swimming with a silent, aggressive, hard-thumping sweeping tail action. Designed to dive deep whether cast or trolled. New smaller size added to offer their full selection! With quick rod snaps the Slab Rap searches in wide, erratic directions, circling back to center after pause. Lift-drop motion creates subtle vibration on rise, followed by evasive side-to-side motion on the fall. New colors Clown, Glow, Purple Tiger UV, and Redfire Crawdad added to offer their full selection! The subtle, relaxed side-to-side action of the X-Rap Twitchin' Mullet is designed to perform a wide twitching walk-the-dog swimming action. Xtreme flash with X-Rap attitude triggers the attack instinct in fish. Slow sinking allows a glide and drop technique to put it into pockets of big fish. New smaller size added to offer their full selection! 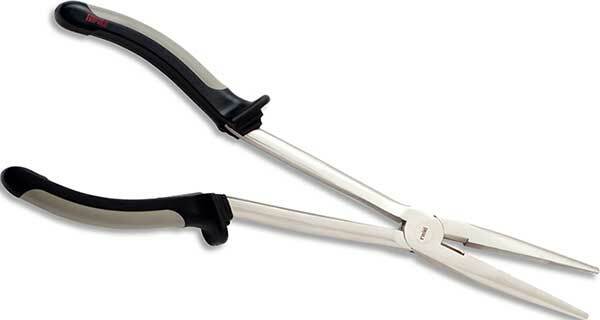 Traditional scissors just don't cut it when you are using superlines. These excel at cutting and trimming micro super lines, as well as all other traditional fishing lines. This pair features German stainless steel blades with premium titanium coating that extends life up to 15X longer than other models. 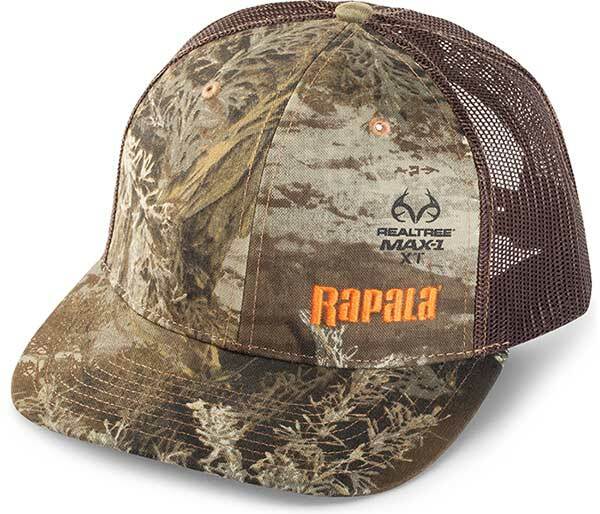 The classic RealTree MAX-1 XT pattern now available in your ultimate cap. Embroidered day-glo orange Rapala logo sits atop the patterned front and bill. Cotton/Polyester blend built into a structured, mid-profile cap with a pre-curved visor with solid black underside to minimize glare. Mesh back with adjustable plastic snapback closure. Whether heading to the lake for a day of catching, off to handle some errands or just hanging with the crew, these caps are the sharp angler's choice. 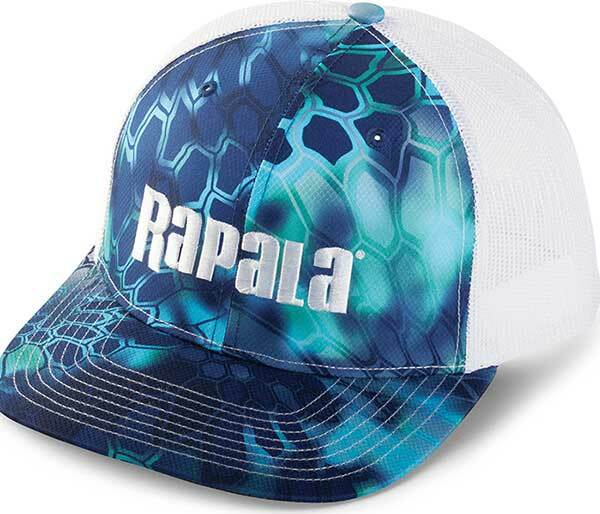 Embroidered Rapala logo sits atop Kryptek patterned front and bill. Cotton/Polyester blend built into a structured, mid-profile, six-panel cap with a pre-curved visor with a solid black underside. Clean and simply designed, these trucker caps feature a trend forward, small Rapala logo. Colored stitching complements the 100% polyester mesh back with a snapback closure. Made of 65/35 polyester cotton blend and featuring a pre-curved visor to hold its shape, or can be custom bent. 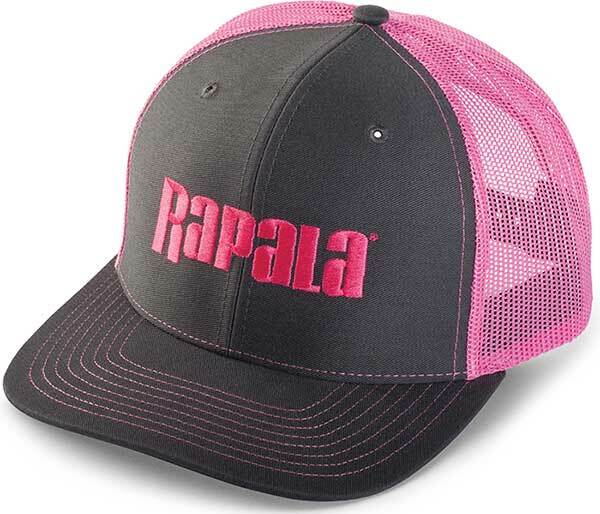 Go pink and sport this classically designed trucker cap featuring an embroidered Rapala logo. Made of a 65/35 polyester cotton blend with a structured, mid-profile, six panel construction. 100% polyester mesh back with snapback closure and pre-curved contrast stitched visor that holds its shape, or can be custom bent. Classic design trucker cap offers mass appeal. 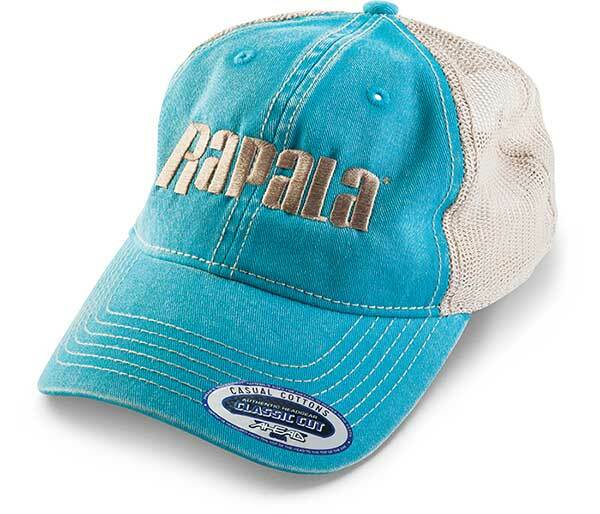 Embroidered Rapala logo in a variety of colors and made of a 65/35 polyester cotton blend, their structured, mid-profile, six panel construction fits just like a cap should with snapback closure. 100% polyester mesh back keeps you cool on those hot summer days. The Flexfit cap delivers the necessary performance while you hunt your brag worthy catch. 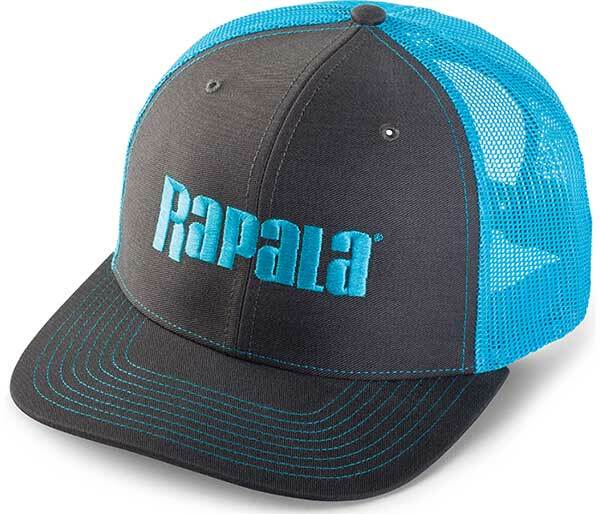 Decorated with the Rapala logo, this solid construction, 6-panel, mid-profile cap has the original Flexfit sweatband to retains its shape. Polyester/spandex mesh on back has slight give for comfort, while the black underbill knocks down reflection. Emacurv visor for that legendary look. The only cap brand some anglers will wear. Top that off with Rapala decoration and you have a bonafide winner. Solid construction, this 6-panel, mid-profile cap has hard buckram backed front panels that hold their shape and the original Flexfit sweatband retains its shape. An instant favorite the first time you put it on. Classic, relaxed, low-profile, six-panel design. 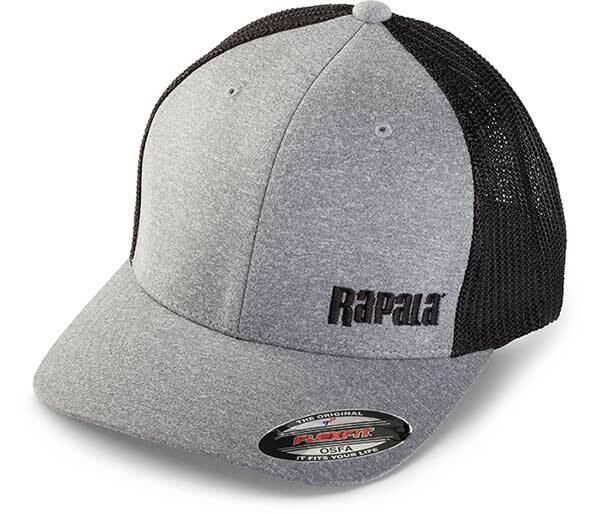 Embroidered Rapala logo complements the soft mesh back in tone. Pre-curved bill holds its shape, but easily conforms to wearer's personal style. Plastic snapback allows adjustment for the perfect fit. One size fits most. 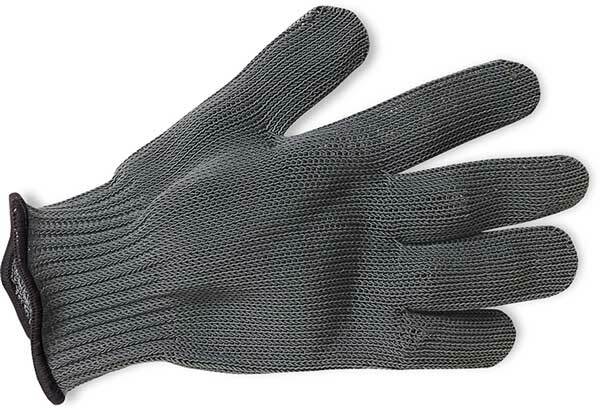 Made of Tuff-Knit yarn, a comfy blend of natural and synthetic fibers with stainless steel for the best protection against slicing injury during filleting. Fits either hand, with three sizes to choose from. Machine washable to keep glove sanitary for years of safe use.